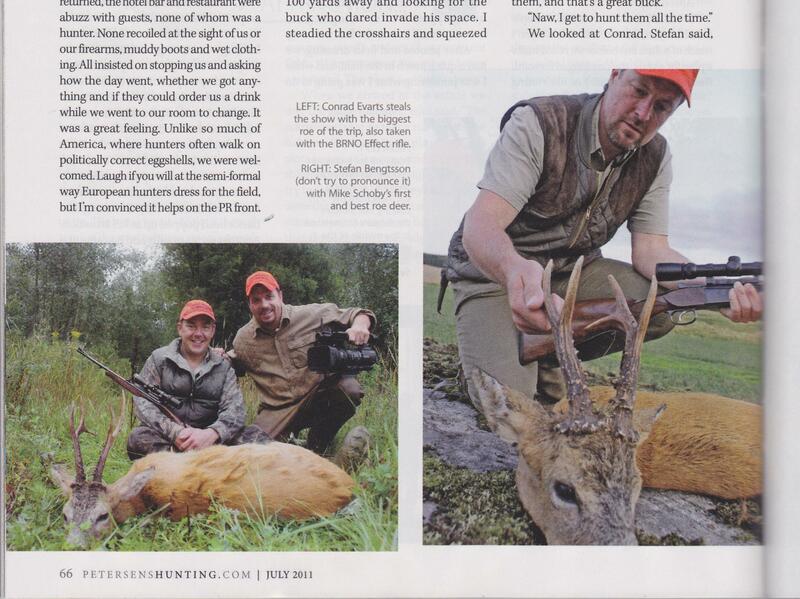 Page 66, July 2011 Petersen's Hunting Magazine is AWESOME. Hi, my name is Conrad and I reinforce racist stereotypes about the Dutch and their American descendents. If you compliment me on a piece of clothing or equipment, I will quickly explain to you how it was a pink tag 50% item from Goodwill, or I nabbed it off a discount website, or dickered at a yard sale, or it was just plain given to me. I'm horrible this way. When I was a wee lad growing up in the ghetto Elvis sang of, I'd ask my granny for fifty cents to buy a toy at a yard sale. She'd give me a quarter and tell me if I couldn't dicker, I needed to pay her back. Today, my wife is actually embarrassed to come with me when I negotiate on big-ticket items. I figure if the person doesn't hate me when I leave, I didn't get the best price. It's amazing how many people do hate me. Anyhow, My buddy stopped by for lunch today. I fed him elk burgers I made from an elk I shanghaid from my buddy Alice Poluchova, boss at CZ USA while on a hunt in Colorado. I just realized this, even his lunch was acquired on the cheap by ol' Dutchy Dutch me. My friend asked about my lovely living room decorated with trophies from some damn pricey hunts. He mistook me for a high-roller for a moment despite the fact I made him split a ginger ale with me. I clarified the situation when with my typical cheapskate pride I made it clear I hadn't paid a dime for any of the trophies. I'd lucked into all of them and when the offer came, I always gave my disclaimer, "I'll shoot anything legal as long as it doesn't cost me a dime." I'm a cameraman, which means in 43 states I'm eligible for food stamps. 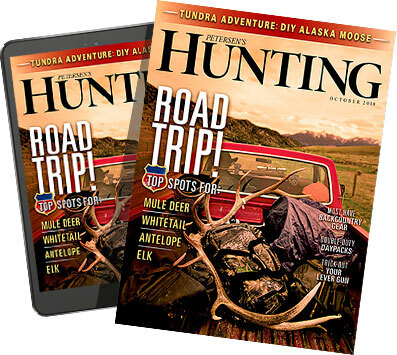 The July copy of "Petersen's Hunting" landed in my mailbox recently, so you probably already saw me winning on page 66. But you can live it in motion here and now. You'll see the only thing better than shooting a fine Roebuck with Stefan Bengtsson of Scandinavian Pro Hunters is Stefan allowing me to use my granny's 100% off coupon. But listen up, don't go panhandling my boy Stefan. You're not the Senior Photog with PHTV. Plus I'm hoping to feel the love when I return to hunt with him this fall and I can't have you muddying the waters.